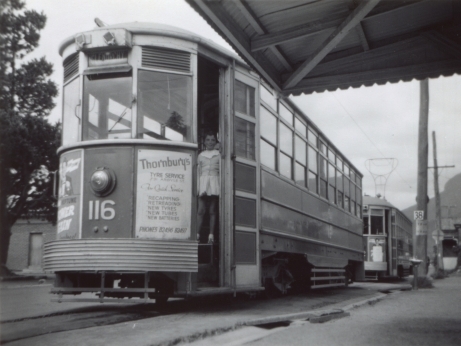 Hobart Tram Restoration and Museum Society Inc. Please note that this website is still under construction and will be developed further shortly with historical information, photos, videos, blueprints and much more. H-TRAMS Inc. was formally created in May 2014 and registered as an incorporated not-for-profit association the following month. 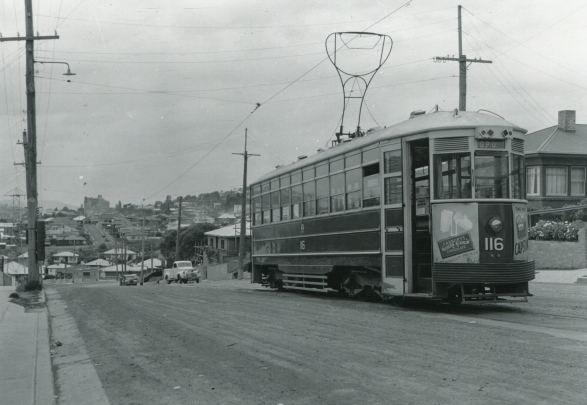 It was formed by a small group of interested individuals who had come together in response to an opportunity to purchase and restore old Hobart bogie tram no. 116 (built in 1940). Remarkably, this tram was still in reasonably good condition, despite having been exposed to the elements in a field on the outskirts of Huonville for the preceding 54 years. 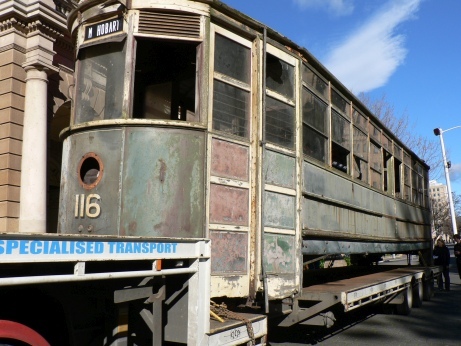 Restoration of heritage Hobart trams – As mentioned above, a key goal of the Society is the restoration of heritage tram 116, to full operating condition. 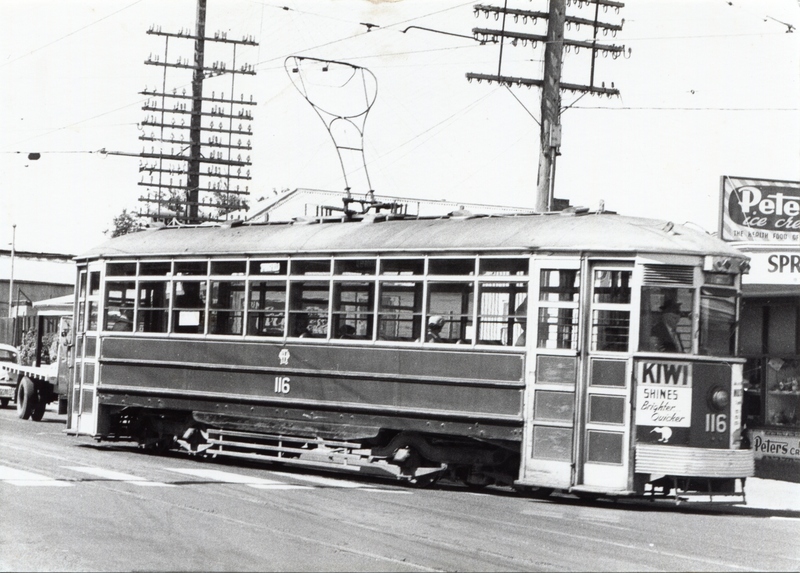 We also plan to restore other heritage trams available to us, including the older tram 120 (built in 1936) and possibly also tram 136 (built in 1949). 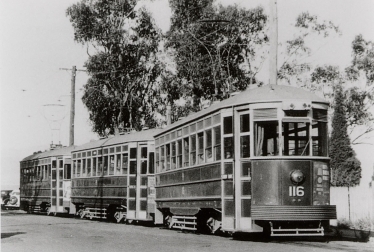 Some of the few other remaining heritage tram bodies may become available in future years. Provision of a specialised Men's Shed facility – Just as important as the end-point of restored trams will be the journey in achieving that goal. We perceive the process as taking place in a 'men’s shed' kind of environment (open of course to interested ladies as well!) where a wide range of volunteers, skilled and unskilled, can join the Society and share in the learning, the pride, the satisfaction and the camaraderie arising from the restoration work. The restoration of just one tram generally takes a number of years, so work of this nature is likely to be ongoing for some time. 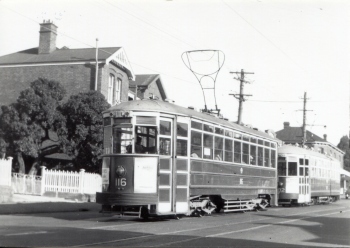 Offering a tourist heritage tram service – Once we have trams restored to full operational condition, it is our hope to see them operating on selected tourist routes within the city. Our initial objective is to participate in a service along the now disused rail line to the Botanical Gardens and Cornelian Bay. Ideally, this service should one day be extended across the waterfront to Mawson Place or the Elizabeth–Morrison Streets intersection, to facilitate access to the CBD and the Salamanca precinct. A further extension could be a branch line from there to the North Hobart restaurant and entertainment district, via Elizabeth Street. Establishing a tram museum, workshop and storage facility – Central to these plans will be a depot—ideally in the Macquarie Point vicinity—that will serve as the node for the tourist services, as a tram storage facility, as a restoration and maintenance workshop, and as a museum for Hobart tram-related memorabilia, artefacts, history and static tram displays. This multi-purpose depot facility would of course be where the ‘men’s shed’ tram restoration work would take place. The currently elected committee comprises Richard Roffe (president), John Kelly (vice-president), Jeremy Kays (secretary), Malcolm Kays (treasurer), Tony Colman (vice-president), Leyon Parker, Jock Campbell, Ross Harris, Daniel Biedka and Jonothon Davis. For further information, please view our Business Plan. 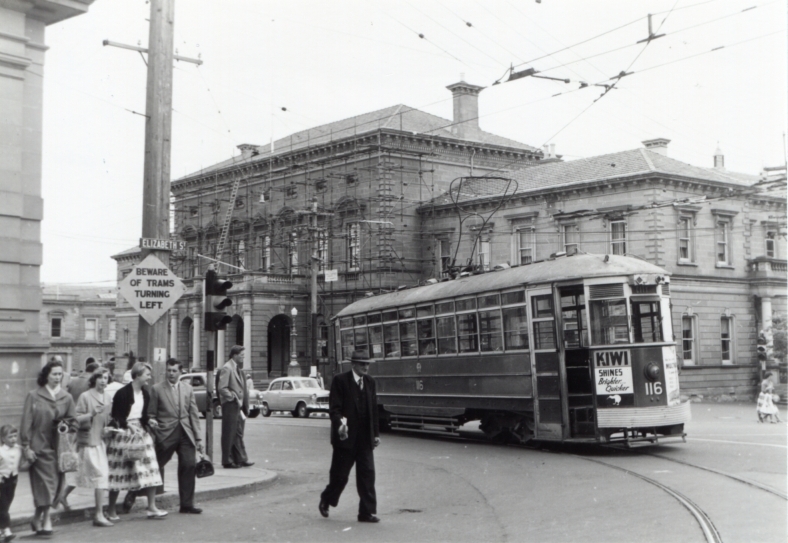 Any donation to the society will be greatly appreciated and will go towards efforts to establish an operating tram museum facility in Hobart and to restore the trams. Donations can be made securely online through GiveNow by clicking here. You can make a donation either as an individual or as a business and if you desire your name (or that of your business) can be added to a list of donors on the website. PLEASE NOTE: This website is still under construction. Please visit again soon! ©2004-2019, Jeremy Kays & H-TRAMS Inc. ABN 73 843 186 279.